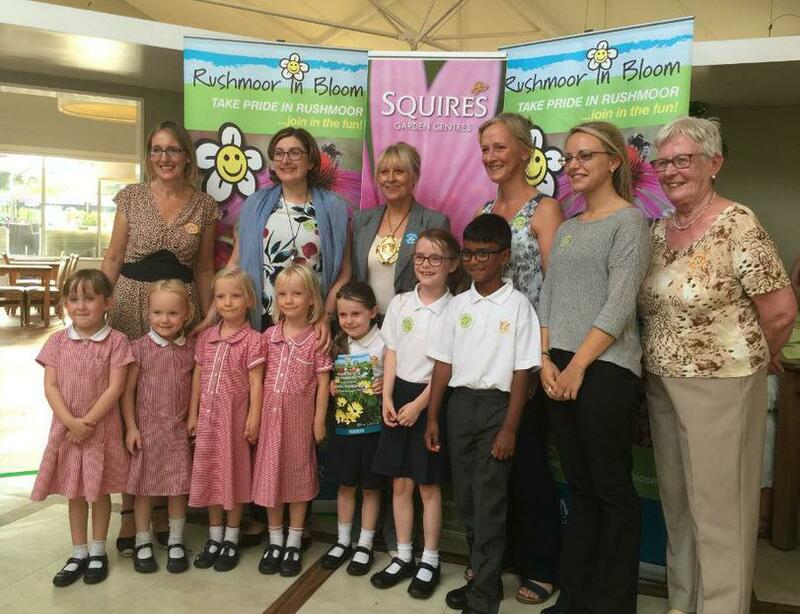 Today the Year 1 children and their siblings joined Mrs Stocchetti, Miss Davenport and Mrs Miles at the Rushmoor in Bloom Awards ceremony where they were presented with the 'Highly Commended' Award by the Mayor of Rushmoor, Cllr Jacqui Vosper, for their fabulous, creative rendition of Mr McGregor's Garden! When the judges visited in July they were astonished at the confidence and levels of independence demonstrated by our Year R children, who showed them around and explained the process of how the garden had been created. We are truly proud of all the Year 1 children (who took part as Year R) and their perseverance with making Mr McGregor's garden the talk of the school!